Doesn’t this dessert look so festive! 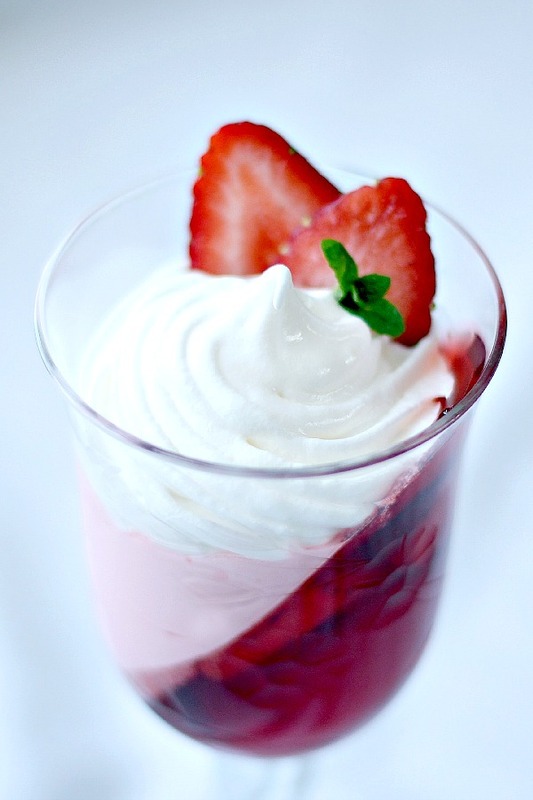 Made with just three ingredients, and if your use sugar-free Jell-O and light whipped topping, it won’t do any harm to your waistline. I posted Pretty Christmas Jello Dessert a long time ago but sharing again because it is such a great treat when we are tempted by so many high-octane desserts at this time of year. The easiest way I found to keep the glasses tilted is to place in a loaf pan. 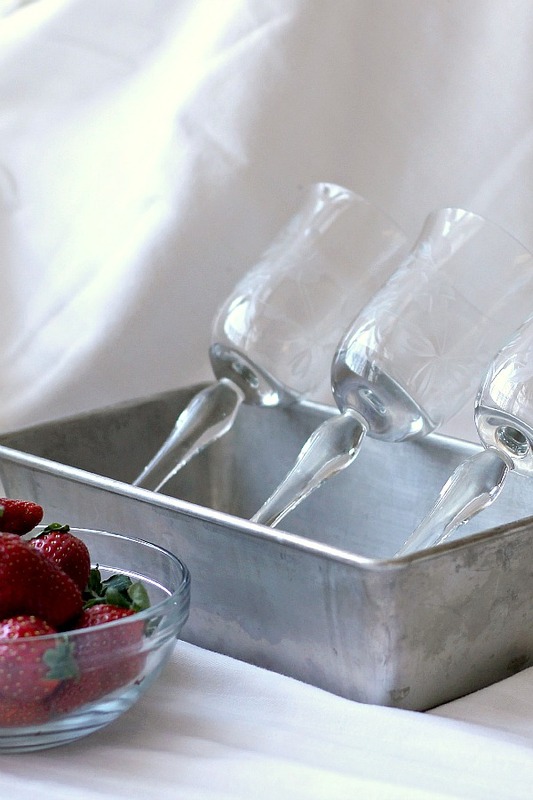 Add the strawberries that have been hulled and sliced to the remaining gelatin; spoon into 4 to 5 pretty glasses. Chill glasses at an angle until jello is set. Meanwhile, fold whipped topping into measured (1/3 cup) gelatin. 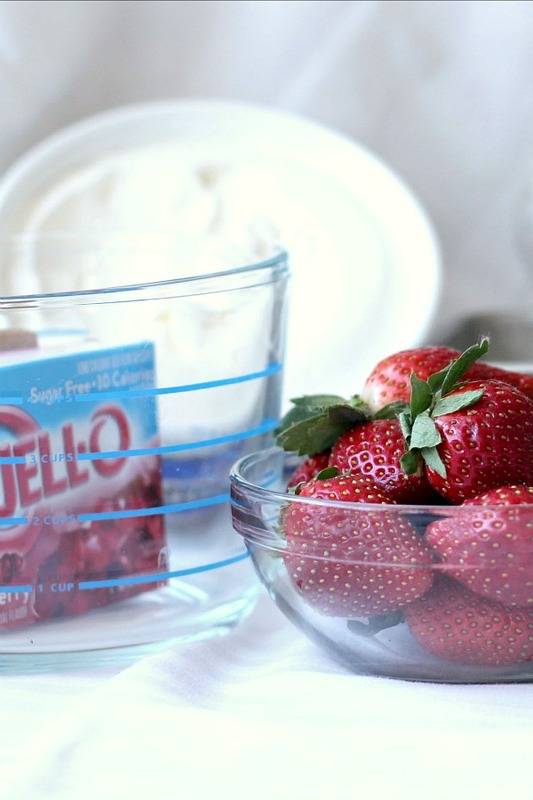 Spoon topping mixture into glasses of set jello. Chill. 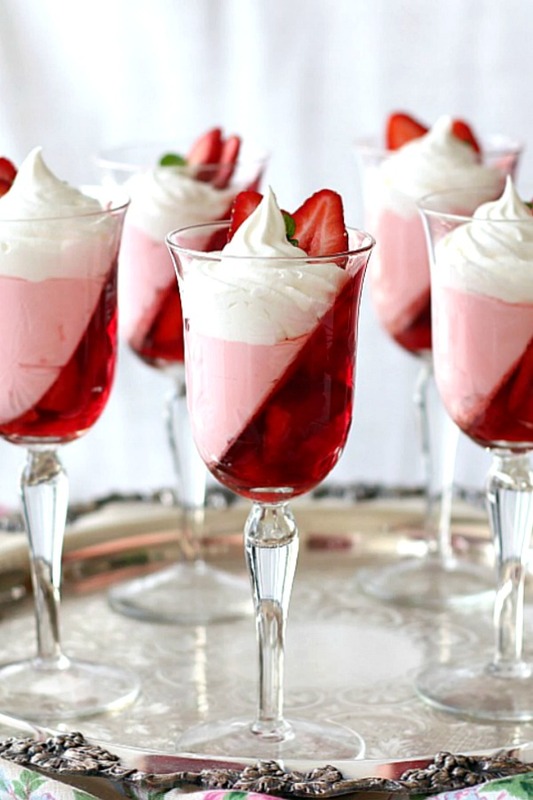 Garnish with additional strawberries and tiny mint leaves, if desired. 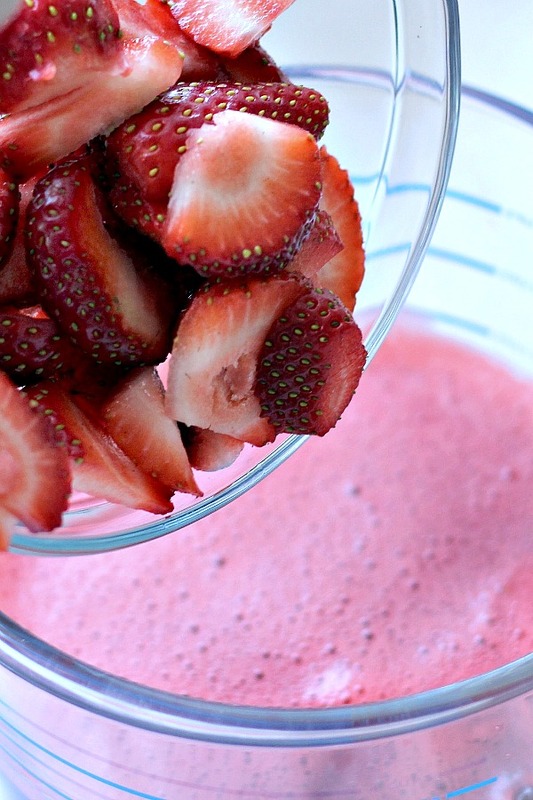 1 cup sliced fresh strawberries, hulled and sliced, plus about 1/2 cup extra for garnish on top. Prepare gelatin according to package directions. Chill until slightly thickened. Set aside 1/3 cup. 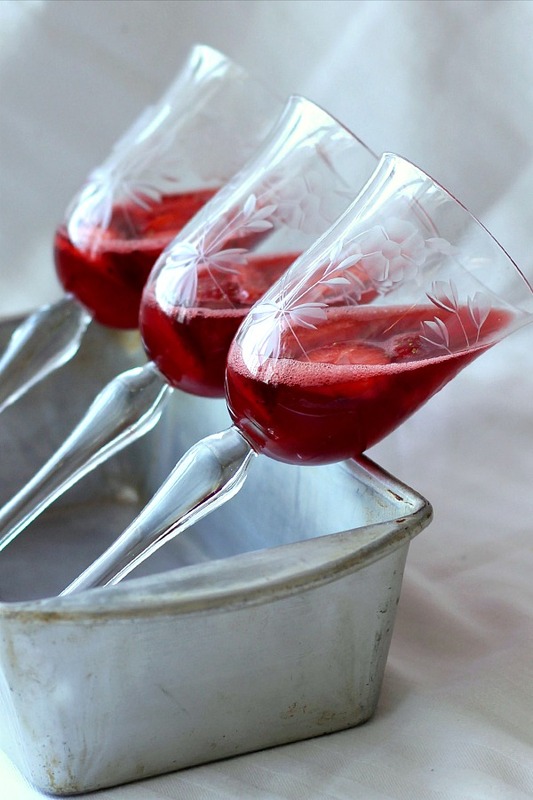 Add fruit to remaining gelatin; spoon into 4 to 5 pretty glasses. Chill glasses at an angle until jello is set. Meanwhile, fold whipped topping into measured (1/3 cup) gelatin. 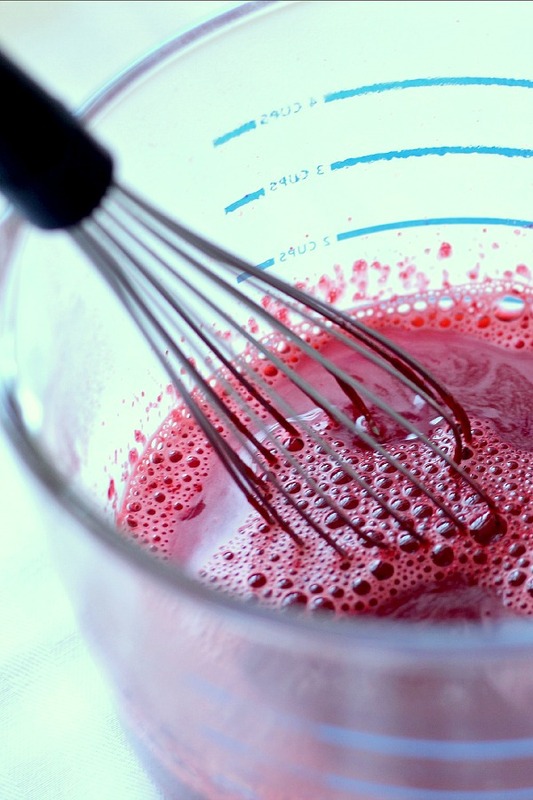 Spoon topping mixture into glasses of set jello. Chill. Garnish with tiny mint leaves, if desired. Do you know how many ounces these glasses hold?? These are 6 oz. wine glasses. Thanks for visiting and Happy Holidays. 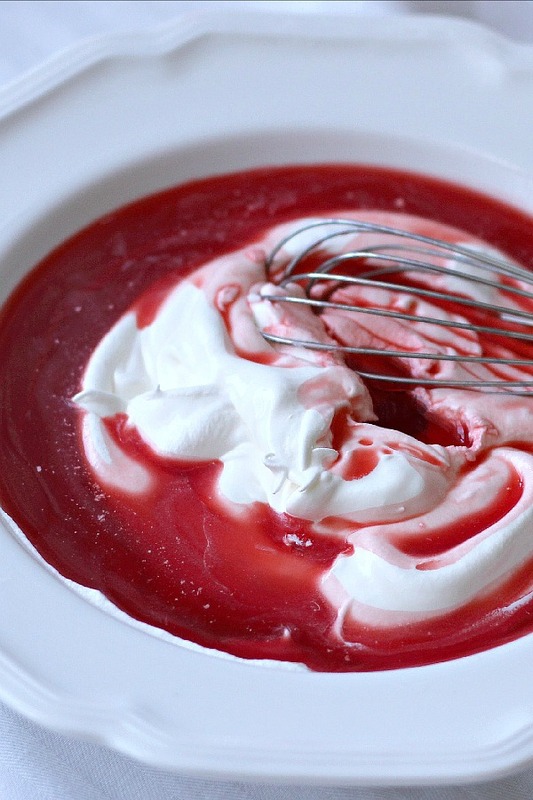 Could vanella pudding substitute the whipped topping that's used on the side of the jello? 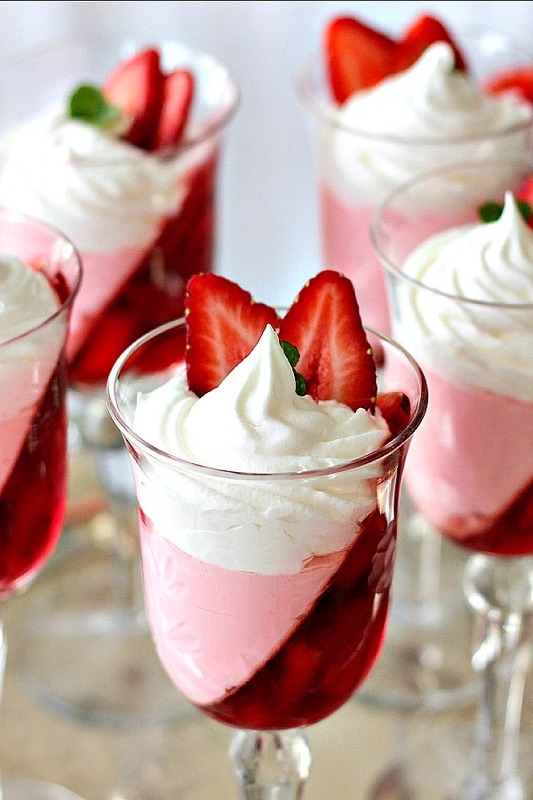 I am looking for a recipe that has vanella pudding with strawberry jello .That's the way we used to eat our jello, with vanilla pudding on top. Just afraid it won't come out right, with maybe the pudding seeping through? My list is endless in the things I learn from you. 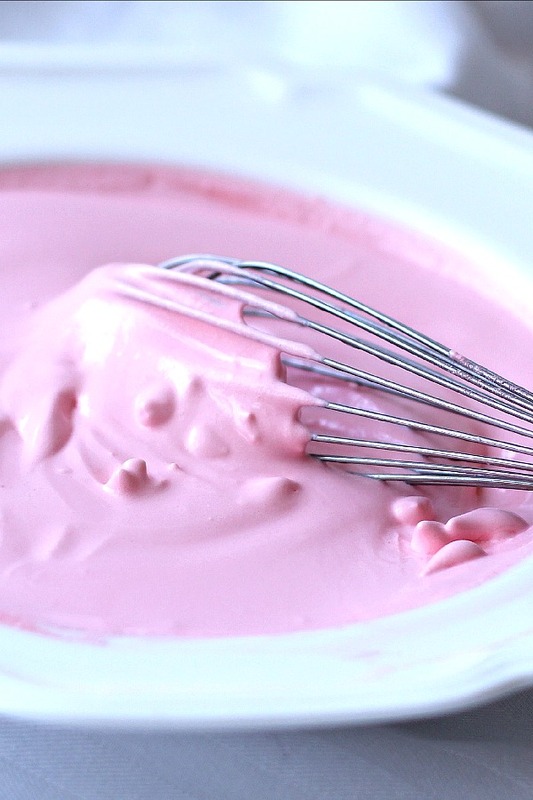 This is just the prettiest dessert, and one I would not feel guilty eating. Thanks so much for sharing how it done. I would love bringing a tray those desserts to my guests. I love all that you share. John will love this! Thank you. Drop by my blog to enter a giveaway. What a perfectly delightful dessert. So pretty andd yummy. Have a fantastic day. So pretty and delicious looking. 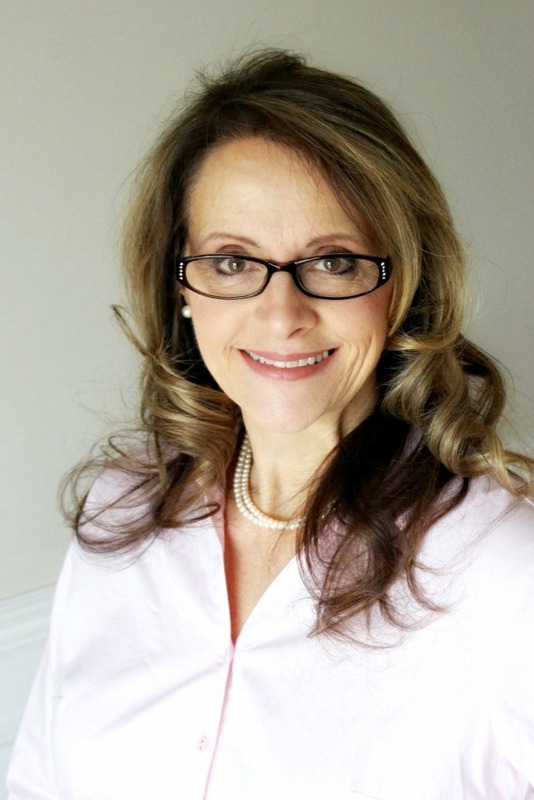 Yes…elegant…that's the word I'd use too to discribe this, Lorraine…simple, yet elegant!! I need lots of ideas that are calorie friendly. I think the pretty presentation helps, too. This is a keeper. I'm trying to eat more carefully, but sometimes fruit alone doesn't really work for me. It looks so pretty, too. 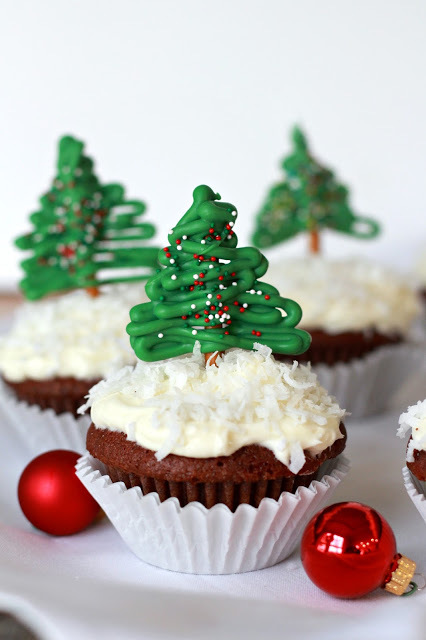 These are so pretty…and festive too! Thanks for sharing, I need to try this soon.